The revolutionary real-time continuous glucose monitoring device (CGM), DEXCOM G4 PLATINUM is now available in UAE, KSA, Kuwait and Oman and will soon be available in Qatar, Bahrain and Lebanon. With this unique technology, diabetic patients can easily and conveniently monitor their glucose level around the clock. The novel device’s registration process has successfully been completed. 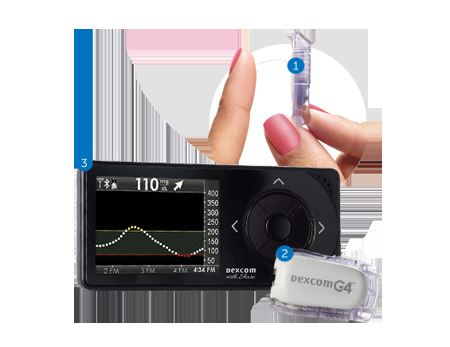 DEXCOM G4 PLATINUM is considered to be the most accurate glucose monitoring technology available in the market, and the easiest one to use. It has been approved by the US Food and Drug Association (FDA) and the European Medicines Agency (EMA), and has already been available in the USA, Canada, Turkey, Hong Kong, South Africa, as well as in many European countries. Julphar will be handling the marketing and distribution rights throughout the region. The DEXCOM G4 PLATINUM CGM system consists of three parts: a sensor, a transmitter and a monitor. The receiver displays glucose readings in vivid colors every five minutes, provides the speed and direction in which one’s glucose is moving and also features customizable alarms and alerts for hypo and hyper glucose readings. Recently, Julphar conducted a workshop in the UAE as part of their “train the trainer “program. Diabetes educators from the GCC and KSA attended the workshop where Dexcom Vice President of International Business Development, Peter Gerhardson and Director of Business Development, Ans Eussen gave an insight on the exceptional accuracy, remarkable features and reliable alarm system of DEXCOM G4 PLATINUM that empowers patients to take control of their diabetes and keeps them one step ahead. Julphar is one of the leading pharmaceutical companies in the MENA region, and provides healthcare professionals and patients with the latest solutions that help better manage diabetes.